This next release on Always Alive see's a debut from producer Adam Navel. 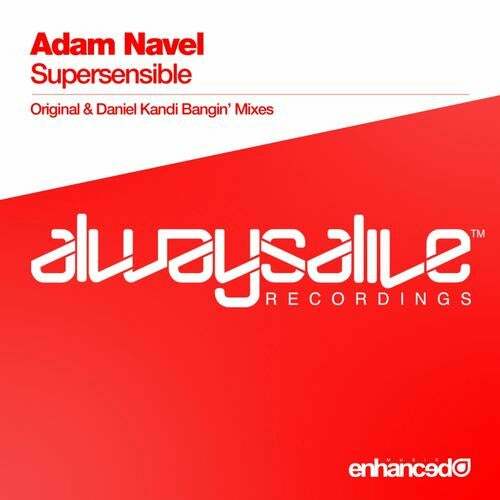 'Supersensible' is a track filled with uplift and euphoria from start to finish. Opening with a groovy club bass sequence and teasing melodic plucks, Adam Navel follows by introducing a neat breaks section before Supersensible spirals into a glorious drop. Drafted in for the remix is label A&R Daniel Kandi who delivers a classic trance take on the original. With hard hitting bass elements and fast tempo percussion, followed by emphatic and emotional top lines melodies, Daniel completes this superb release on Always Alive, in true Kandi style. A massive release with two brilliant versions of 'Supersensible', and huge support from Armin van Buuren on ASOT!